On a warm day~s hike, the chill of the mountain stream can prove too much to pass up. 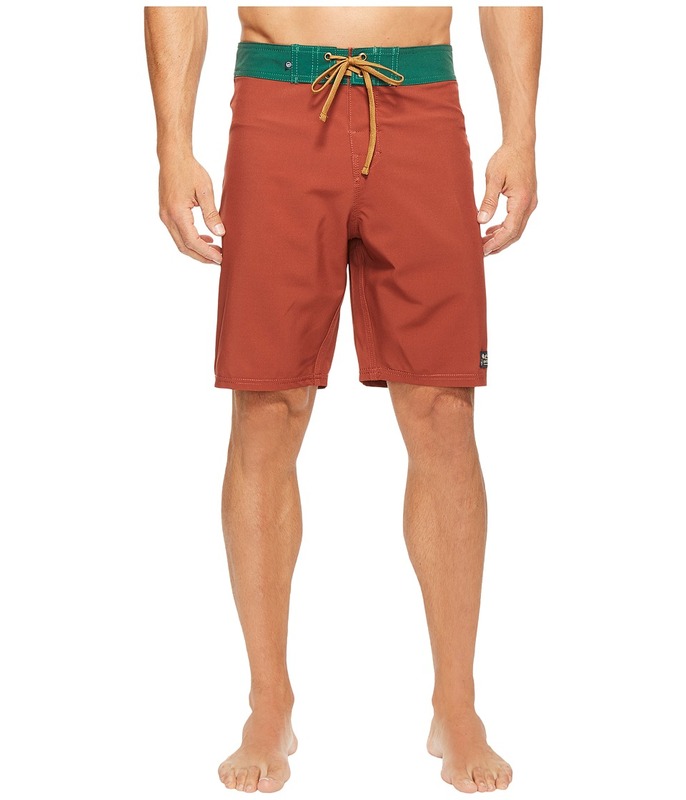 Make sure you~re ready to take a dip with Classic Boardshorts that are at home on the hike and in the water. For every product sold, United By Blue removes one pound of trash from our world~s oceans and waterways. 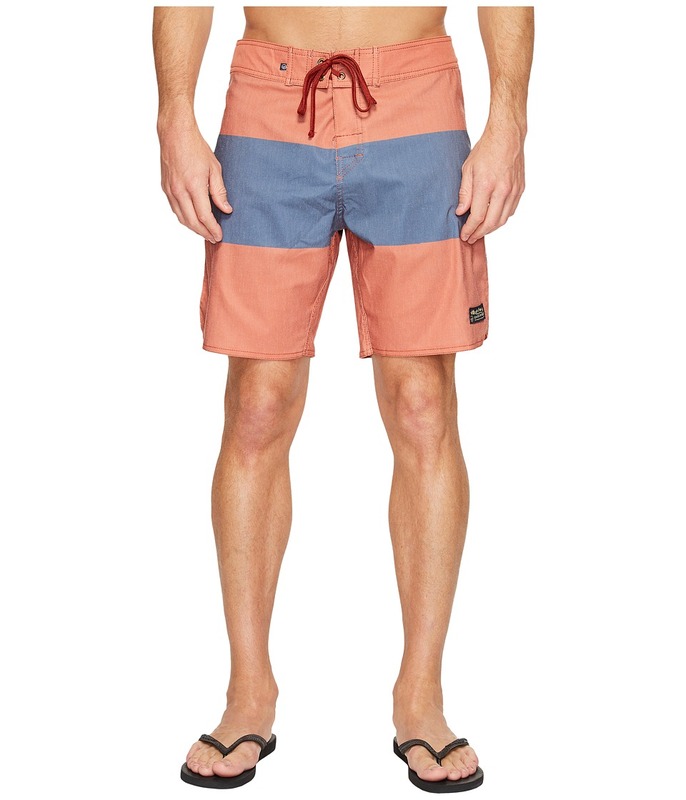 Boardshorts feature a mid rise and straight fit to the knee. Lightweight poly weave offers four-way stretch for full range of motion. DWR (durable water repellent) finish offers stain- and water-resistant protection to improve the quick-dry performance. Fitted waistband. Hook-and-loop fly with surf-tie closure. Button-flap back pocket with inner key loop. Woven brand patch at the left leg. 95 percent recycled polyester, 5 percent spandex. Machine wash and tumble dry. Imported. Measurements: Waist Measurement: 34 in Outseam: 20 in Inseam: 9 in Front Rise: 12 in Back Rise: 16 in Leg Opening: 20 in Product measurements were taken using size 32. Please note that measurements may vary by size. If you~re not fully satisfied with your purchase, you are welcome to return any unworn and unwashed items with tags intact and original packaging included. Take a walk in the woods and come out taller than the trees in the Bison Quilted Vest! For every product sold, United By Blue removes one pound of trash from our world~s oceans and waterways. Lightweight, quilted vest in a relaxed fit. B100 fill bison fiber insulation. Water repellent fabrication. Stand collar for additional warmth. Full-zip closure with a zipper garage. Sleeveless construction. Zip-pocket at left chest. Dual, zip hand pockets. Inner-zip pocket. Binding at cuffs and trim. Straight hemline. Shell: 100 percent nylon ripstop bio Lining: 50 percent bison, 30 percent recycled polyester, 20 percent polyester. Dry clean only. Made in Canada. Measurements: Length: 27 in Product measurements were taken using size MD. Please note that measurements may vary by size. 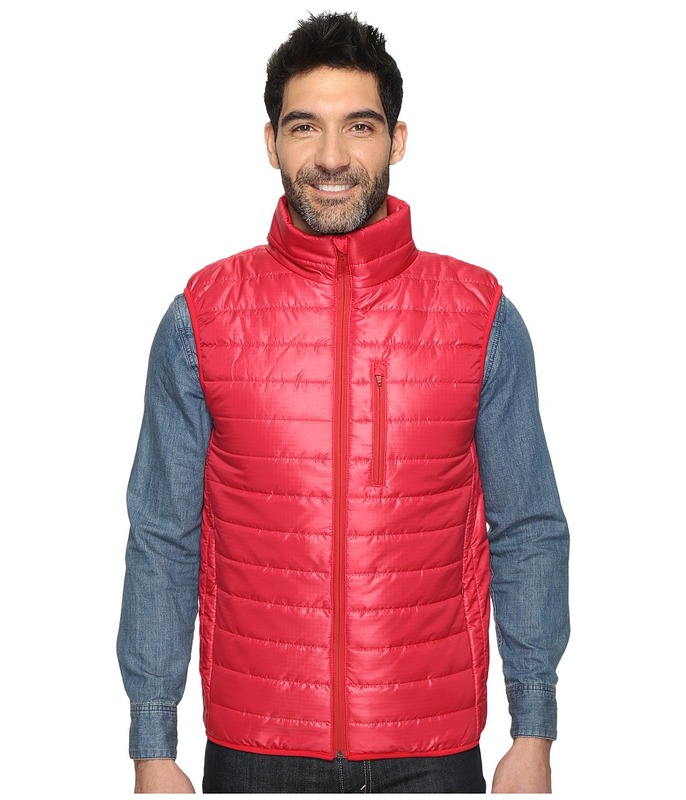 Take solace in the healing spirit of nature with the Bison Quilted Vest! For every product sold, United By Blue removes one pound of trash from our world~s oceans and waterways. 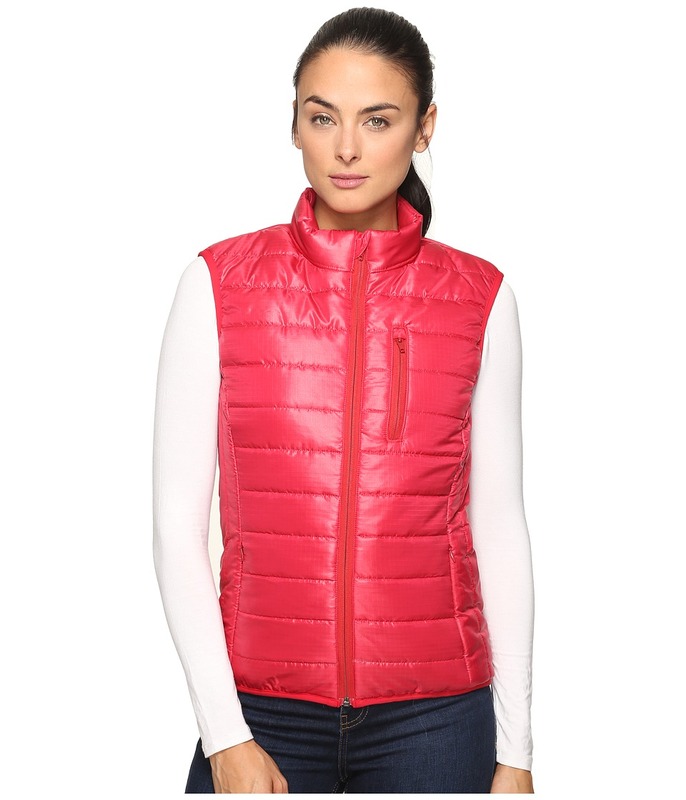 Lightweight, quilted vest features temperature-regulating properties. B100 Fill bison fiber insulation has moisture wicking, and antimicrobial properties. Stand collar for additional warmth. Full-zip closure with zipper garage. Sleeveless construction. Zip-pocket at left chest. Welted, zip-hand pockets. Inner-zip pocket. Binding at cuffs and trim. Straight hemline. Logo tab at right side. 100 percent nylon Lining: 50 percent bison, 30 percent recycled polyester, 20 percent polyester. Dry clean. Made in Canada. Measurements: Length: 23 in Product measurements were taken using size XS. Please note that measurements may vary by size. 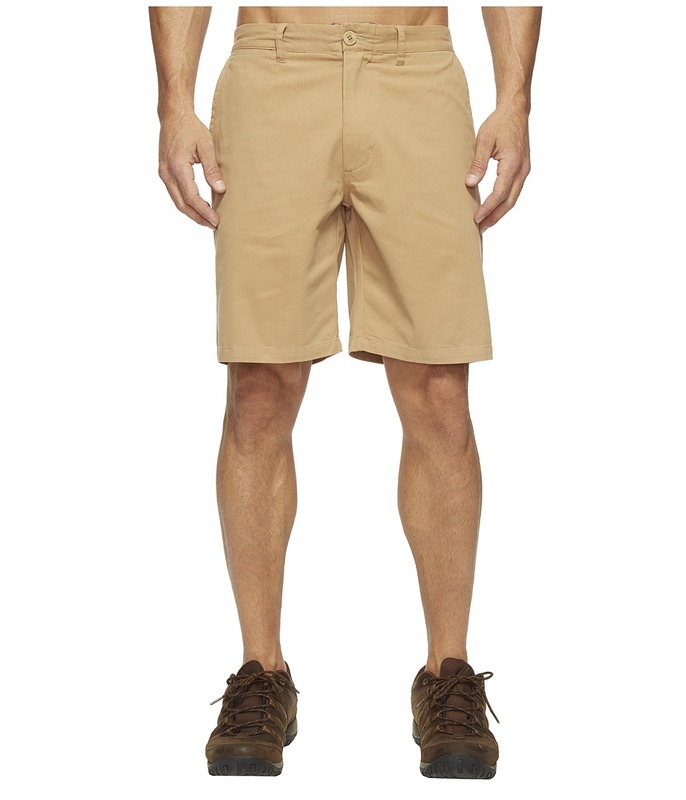 Go straight from your morning hike to your favorite pub with good friends in the Holston Shorts! For every product sold, United By Blue removes one pound of trash from our world~s oceans and waterways. Slim-fit shorts feature structure and stretch for a wide range of motion. Natural corozo buttons throughout. Mid-rise sits below the waist. Belt-loop waist. Zip fly and button closure. Dual-hand pockets and back welt pockets with button-closure at right. Coin pocket at right hip. Short cuffs hit just above the knee. 100 percent organic cotton. Machine wash, tumble dry. Imported. Measurements: Waist Measurement: 32 in Outseam: 19 1 2 in Inseam: 9 in Front Rise: 11 in Back Rise: 16 in Leg Opening: 23 in Product measurements were taken using size 32, inseam 9. Please note that measurements may vary by size. Set up camp, start a fire, and watch the flowing river pass by in the Northbound Boardshorts! For every product sold, United By Blue removes one pound of trash from our world~s oceans and waterways. 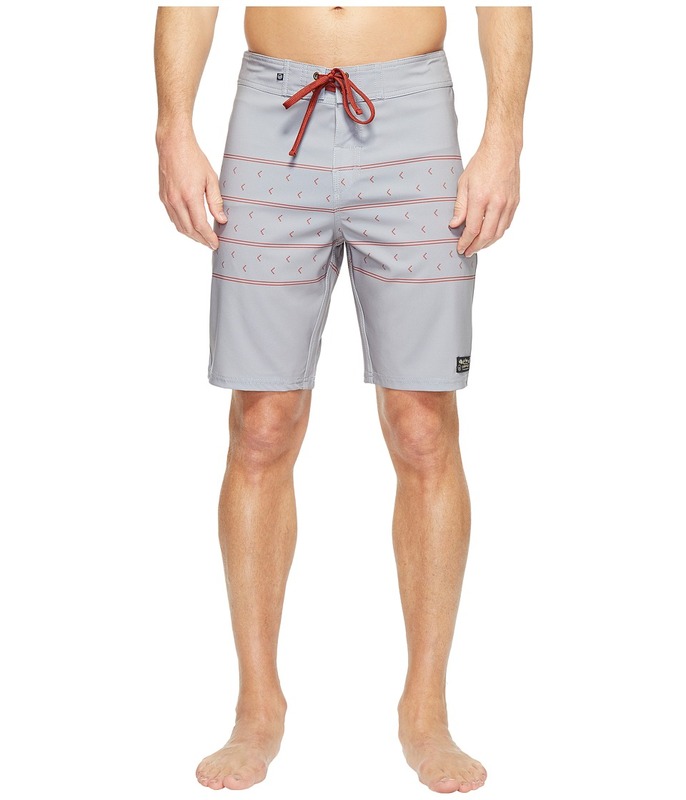 Swim trunks feature a print inspired by sticks and stones and lightweight fabrication for all-day comfort. Four-way stretch with quick-drying abilities. DWR finish wicks moisture away from the surface and resists staining. Self-lined waist with ladder-lock flat surf-tie closure. Back-flap pocket with inner key loop. Short cuffs hit at knees. Embroidered logo hit at left trim. 85 percent recycled polyester, 15 percent spandex. Machine wash, tumble dry. Imported. Measurements: Waist Measurement: 34 in Outseam: 20 in Inseam: 9 in Front Rise: 12 in Back Rise: 15 1 2 in Leg Opening: 21 in Product measurements were taken using size 32. Please note that measurements may vary by size. If you~re not fully satisfied with your purchase, you are welcome to return any unworn and unwashed items with tags intact and original packaging included. Set up camp and swing from a rope into the calm river below with the River Bed Boardshorts! For every product sold, United By Blue removes one pound of trash from our world~s oceans and waterways. 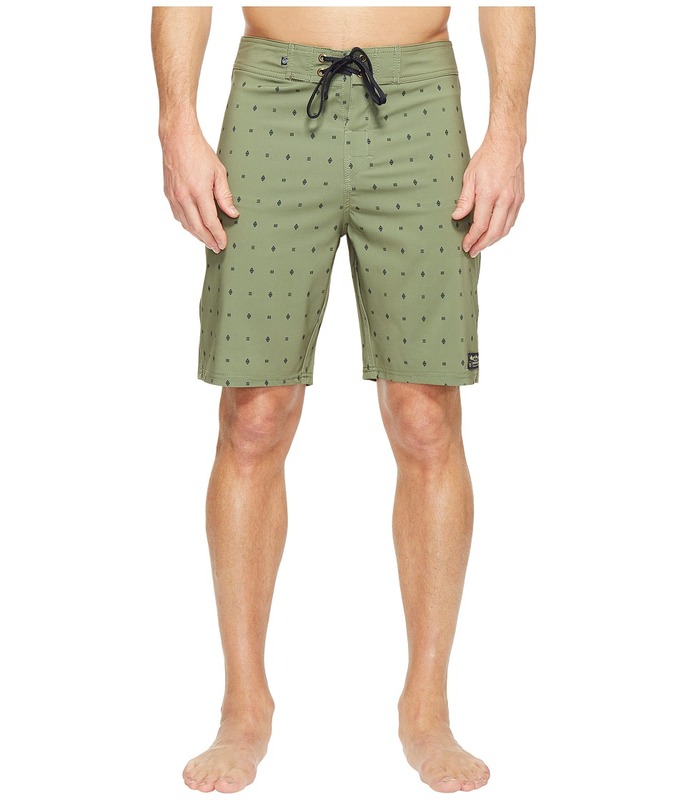 Swim trunks feature a print inspired by stick and stones and lightweight fabrication for all-day comfort. Four-way stretch with quick-drying abilities. DWR finish wicks moisture away from the surface and resists staining. Self-lined waist with ladder-lock flat surf-tie closure. Back-flap pocket with inner key loop. Short cuffs hit at knees. Embroidered logo hit at left trim. 85 percent recycled polyester, 15 percent spandex. Machine wash, tumble dry. Imported. Measurements: Waist Measurement: 33 in Outseam: 20 in Inseam: 9 in Front Rise: 11 1 2 in Back Rise: 15 1 2 in Leg Opening: 21 in Product measurements were taken using size 32. Please note that measurements may vary by size. If you~re not fully satisfied with your purchase, you are welcome to return any unworn and unwashed items with tags intact and original packaging included. Relax and take a dip in the river to find a big catch for dinner in the Streamline Boardshorts! For every product sold, United By Blue removes one pound of trash from our world~s oceans and waterways. 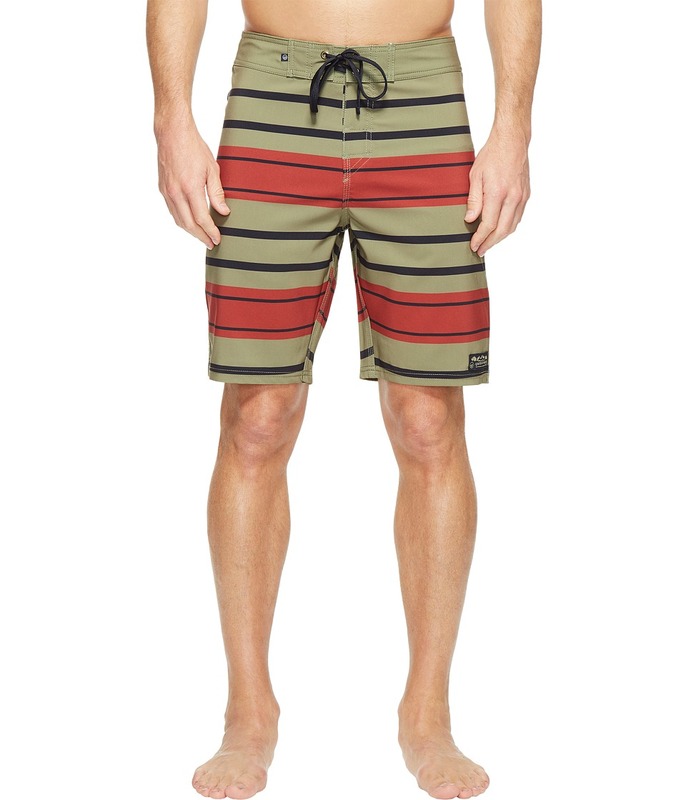 Swim trunks feature a color-blocked stripe design and lightweight fabrication for all-day comfort. Four-way stretch with quick-drying abilities. DWR finish wicks moisture away from the surface and resists staining. Self-lined waist with ladder-lock flat surf-tie closure. Back-flap pocket with inner key loop. Short cuffs hit at knees. Embroidered logo hit at left trim. 85 percent polyester, 15 percent elastane. Machine wash, tumble dry. Imported. Measurements: Waist Measurement: 32 in Outseam: 20 in Inseam: 9 in Front Rise: 11 1 2 in Back Rise: 16 in Leg Opening: 20 in Product measurements were taken using size 32. Please note that measurements may vary by size. If you~re not fully satisfied with your purchase, you are welcome to return any unworn and unwashed items with tags intact and original packaging included. Take a deep dive into the wild unknown with the Classic Trailblaze Boardshorts! For every product sold, United By Blue removes one pound of trash from our world~s oceans and waterways. Swim trunks features a colorblocked design and lightweight, quick-drying, and durable fabrication with four-way stretch for a wide range of motion. DWR wicks moisture away from the surface and resists staining. Fixed, self-lined waist with ladder-lock flat drawstrings. Back-flap pocket with single-button closure. Inner-elastic key loop. Short cuffs hits above knees. Embroidered logo patch at left trim. 85 percent recycled polyester, 15 percent spandex. Machine wash, tumble dry. Imported. Measurements: Waist Measurement: 33 in Outseam: 20 in Inseam: 9 in Front Rise: 12 in Back Rise: 15 1 2 in Leg Opening: 21 in Product measurements were taken using size 32. Please note that measurements may vary by size. If you~re not fully satisfied with your purchase, you are welcome to return any unworn and unwashed items with tags intact and original packaging included. 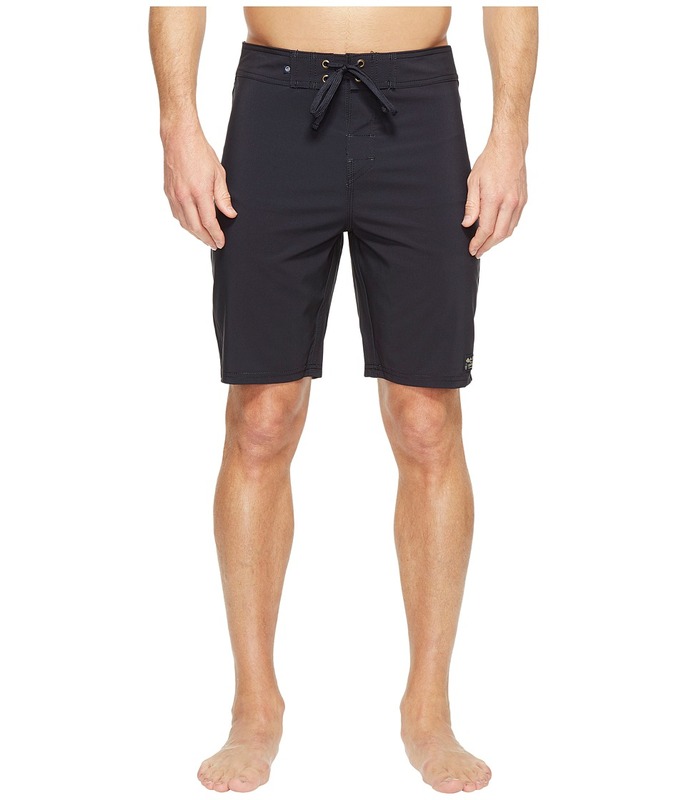 Follow the river to a beautiful waterfall, and dive in with the Midstream Scallop Boardshorts! For every product sold, United By Blue removes one pound of trash from our world~s oceans and waterways. Lightweight swim trunks features a colorblocked design with quick-drying and durable fabrication. Quick-dry fabrication boasts a DWR (durable water repellant) finish that sheds water but is not entirely waterproof. Mid rise and modern fit that tapers lightly to the knee. Self binding and a scalloped leg create a throwback, retro look. Fitted, self-lined waist. Hook-and-loop fly with surf-tie closure. Button-through back pocket with inner key loop. Woven brand patch at the left leg. 72 percent recycled polyester, 22 percent organic cotton, 8 percent spandex. Machine wash cold, tumble dry. Imported. Measurements: Waist Measurement: 34 in Outseam: 17 in Inseam: 8 in Front Rise: 12 in Back Rise: 15 in Leg Opening: 22 in Product measurements were taken using size 34. Please note that measurements may vary by size. If you~re not fully satisfied with your purchase, you are welcome to return any unworn and unwashed items with tags intact and original packaging included.